A beneficial Ayurvedic herb, its Hindi name `gurmar` means `destroyer of sugar`. 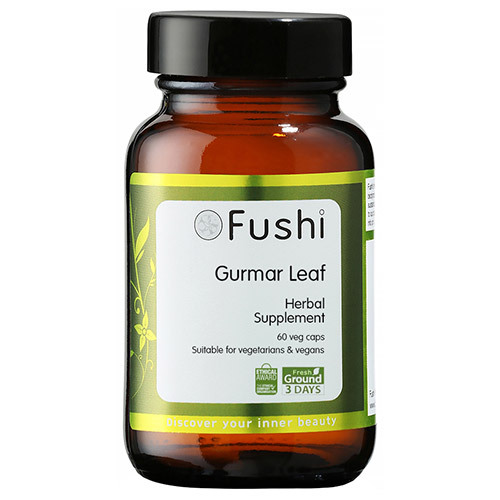 Gurmar is often promoted as an appetite suppressant and weight loss agent. Gurmar fits well into a weight management program because it complements exercise and diet changes by curbing sugar cravings. Freshly Ground Gymnema Sylvestre (Gurmar Leaf), Pullulan Capsules (Aureobasidium pullulans). 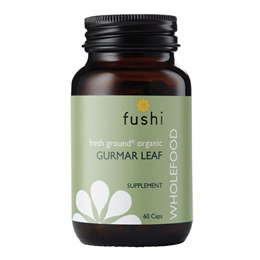 Below are reviews of Fushi Organic Gurmar Leaf - 60 Vegicaps by bodykind customers. If you have tried this product we'd love to hear what you think so please leave a review.